An integrated and persistent content strategy is very important for attracting attention, building your reputation, improving your inbound marketing, as well as building your SEO ranking. Your blog, newsletter publication, and other social media publications are a very important part of this marketing effort. 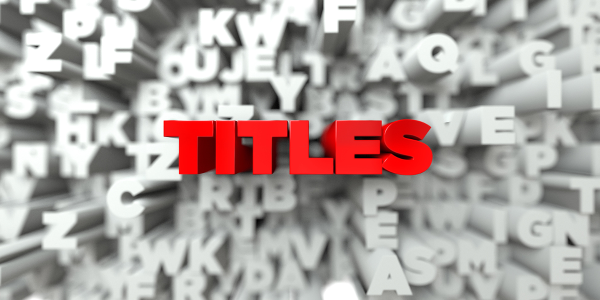 While significant effort may be put to generating high-quality, original content, content marketers often overlook the fact that selecting a good title is one of the most important steps. If you create a catchy title, it will attract your reader’s attention. 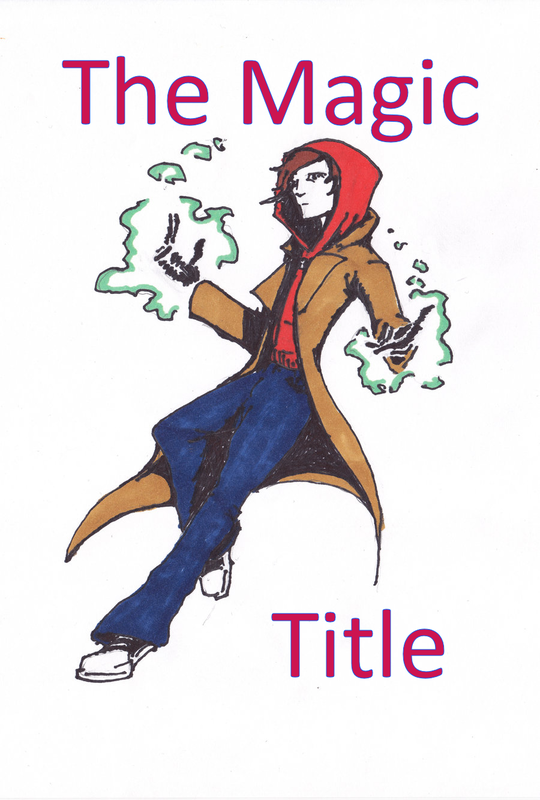 But, a title that is written to increase your Google search position, will add more value. The title is an essential component of Google ranking, so this is a very critical consideration. It is important to understand that you can write a great article, but you must have an audience before anyone sees it. Consider the classic philosophic question, “If a Tree Falls in a Forest and nobody is around to hear it, does it make a noise?” You may have a fun title in mind, but if no one sees it, it isn’t worth anything. On the other hand, if you are publishing your article in a popular newsletter, you have the audience so the catchy title can be just fine. So, what happens when you create an article that will appear in both your blog and your newsletter? It turns out you can do both. In some newsletter systems, you can create a title for your blog article and create a different title for the newsletter article. The primary search term you think people are looking for should be the title of the page. The title keyword phrase will be ranked higher by Google, so it has a higher potential to be found on the first page of search results. Sometimes you may not get to the first page for one keyword phrase, so you may have to work at this for a while. Just try to get as many meaningful keyword phrases as possible. Review some of the articles about improving SEO. Google has some suggestions on their webmaster tools site. 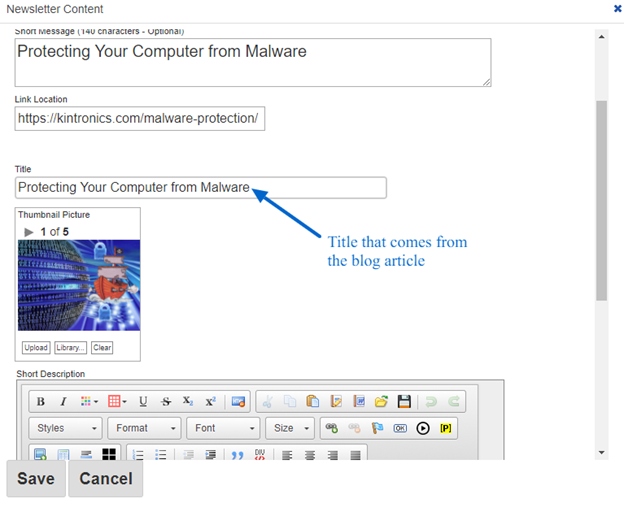 Write your blog article and use an SEO sensitive title. 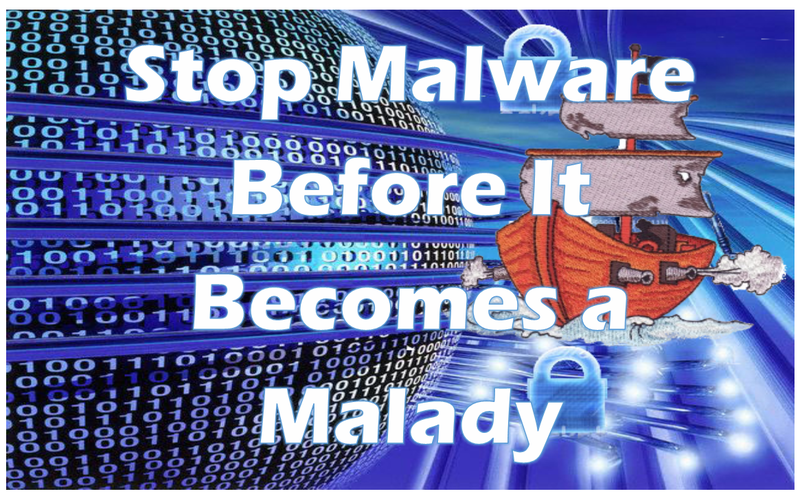 Use a graphic that includes the catchy title. This can be used on your blog and then be used in the newsletter. The screen-shot below shows where you can make the change using ContentMX. The original title is taken from the blog article. The title can be changed here to the catchy title. To learn more about generating high quality content with search friendly titles, contact us.